With fruits, choices are endless. Any way, you use it, the end product will be only fruity and delicious treat. When it comes to summer fruits, you'll be spoilt for choices. 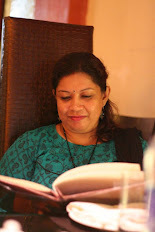 I love summer fruits - Mango, Payaya, Litchi, watermelons, Honeydew melons..all are my favorite. Actually, my most of the summer diet consists of fruits, when in summer my appetite goes down, I just love fruit juices and fruit salads. And it's the best time to lose some extra weight. I'm hoping to loose some too. Yesterday, when I bought some mangoes and watermelons from market, I made my mind to make some fresh fruit popsicle. My kids demand everyday for some popsicles after coming from school these summer days and I just hate those store-bought popsicles, just full of water and color. 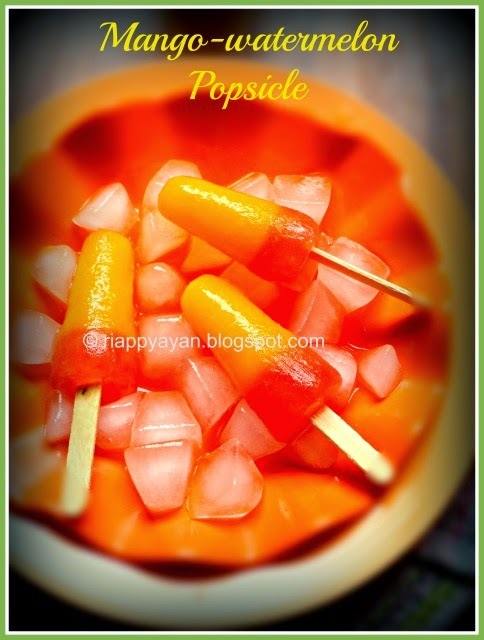 So, thought to prepare this easy-to-make fresh fruit popsicle and combined two fruit juices in one and made these cute yellow-red popsicles. My kids just got overwhelmed seeing these cuties. Prepare your moulds or cups and keep near you. Set your freezer temperature to coldest. Put First the mangoes with little sugar in a blender and make puree adding little water. Fill your moulds with mango juice till half and put them in freezer. Keep there for at least 1-1.5 hour. Meanwhile, prepare watermelon juice same way as above. Check the moulds in between, when you see that the mango juice has set, place the popsicle sticks in the center of the mould. 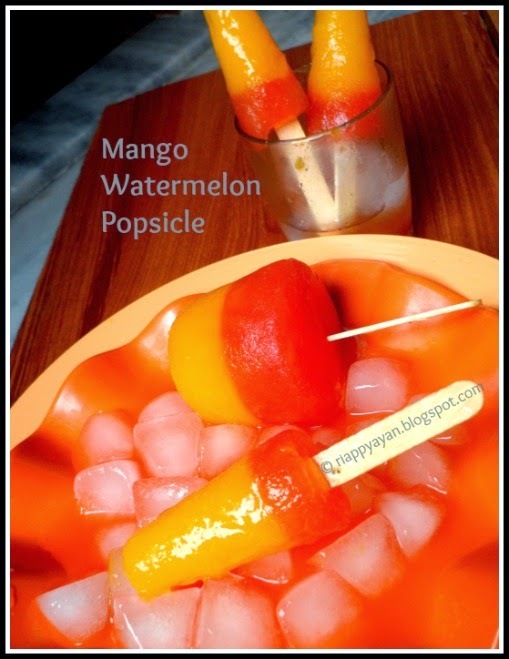 Then pour the watermelon juice over teh set mango popsicle. Again put them in the freezer and keep at least 6-7 hours to fully set, preferably overnight. Next day, just before having them, place the moulds on a bowl of water and demould them. Serve immediately and enjoy the fresh fruit popsicle made at home with best ingredients and without any color or chemical. 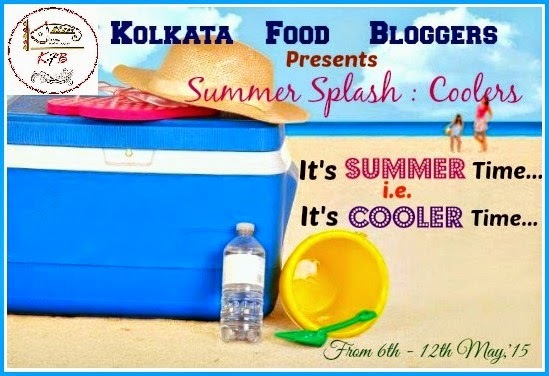 I'm sending these popsicles to Kolkata Food Blogger's ongoing Summer event, Summer Splash: Coolers.